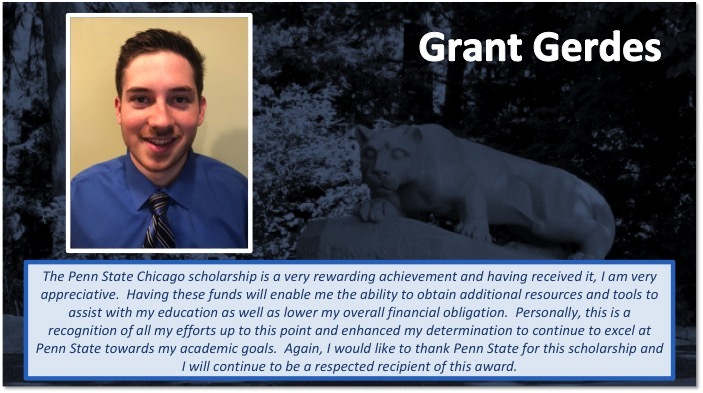 This year because of your support, we are proud to offer scholarships to four Penn State students from the Chicagoland area totaling $11,000! 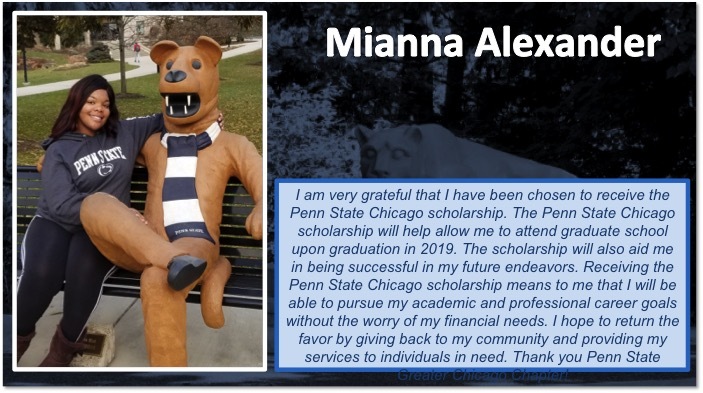 Congratulations to Mianna Alexander, Siena Baker, Grant Gerdes, and John Williamson! 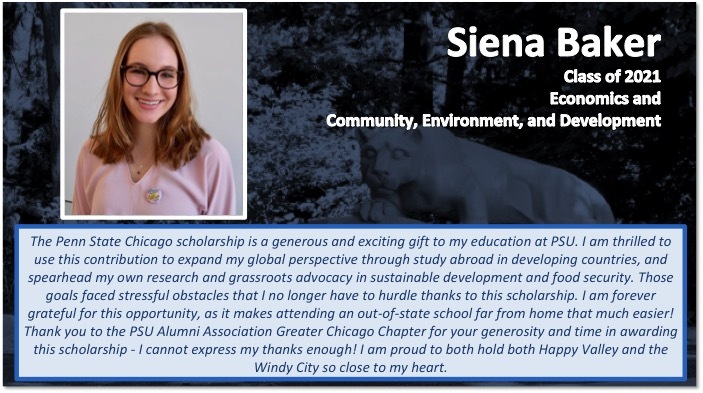 The Scholarships will support the students in their Spring 2019 semesters!